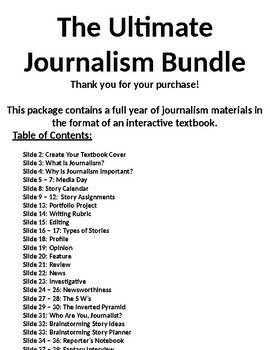 The Ultimate Journalism Bundle is composed of an interactive textbook representing an entire years-worth of journalism content created by a teacher who has applicable experience in the field. 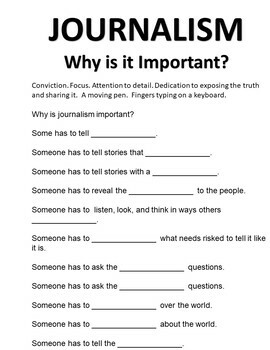 This bundle is designed to teach journalism through active learning. 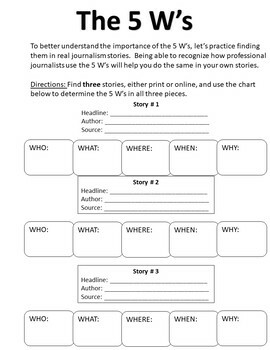 Through the creation of unique journalism pieces and projects via this bundle, students will develop the appreciation, knowledge, and skills necessary to truly understand journalism.